What can glass cases teach us about how nature is written or read? 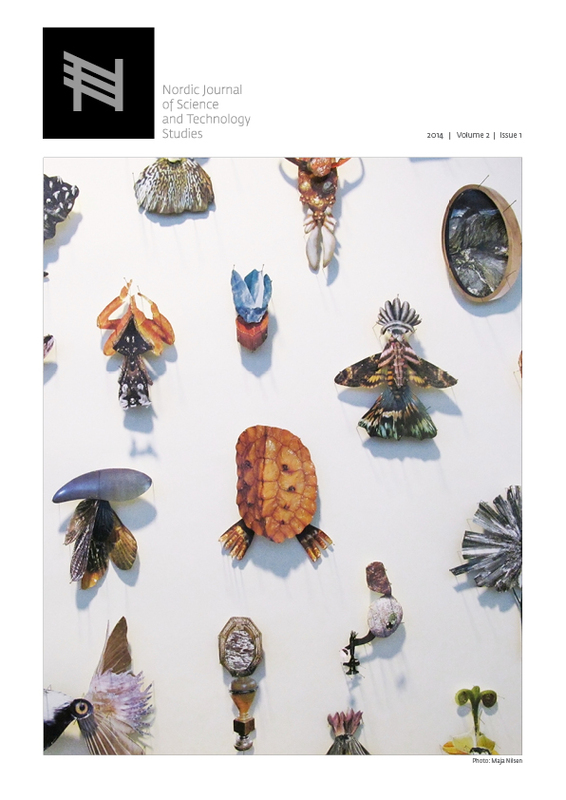 This article seeks to understand the work done by glass cases in Bergen Museum in Norway around 1900 specifically, and more generally how glass cases was an important tool for making natural history museums into textual media. In this article it is claimed that when we focus on how natural history museums manufacture culturally specific museum nature, it is a legacy of a reform movement that set out to “discipline” museum nature around 1900 in order to make nature legible for “everyman”. An important museum movement by the end of the nineteenth century worked to make natural museums into places were one could learn by reading, not by touching or engaging with the natural objects, qua objects. This insistence on making nature readable, it is claimed, should make us cautious about analysing natural history museums as texts. Alberti, S.J.M.M. 2008. Constructing nature behind glass. Museum and Society, 2 (6): 73-97. Armstrong, I. 2008. Victorian Glassworlds: Glass Culture and the Imagination, 1830-1880. Oxford: Oxford University Press. Beckman, J. 1999. Naturens palats. Nybyggnad, vetenskap och utställning vid Naturhistoriska riksmuseet 1866 – 1925. Stockholm: Atlantis. Bennett, T. 1995. The Birth of the Museum. History, Theory, Politics. London: Routledge. Bennett, T. 1998. Pedagogic Objects, Clean Eyes, and Popular Instructions: On Sensory Regimes and Museum Didactics. Configurations 6:3: 345-371. Brunchorst, J. 1891. Om South Kensingtonmuseet. Aarbog for Bergen Museum. Bergen: Bergen Museum. Brenna, B. 2013. The Frames of Specimens: Glass Cases in Bergen Museum Around 1900. In Thorsen, L.E, K. Rader and A. Dodd (eds.). Animals on Display. The Creaturely in Museums, Zoos and Natural History. Pennsylvania: Penn State University Press. Classens, C. and D. Howes. 2006. The Museum as Sensescape. Western Sensibilities and Indigenous Artifacts. In E. Edwards et al.(eds). Sensible Objects: Colonialism, Museums and Material Culture, 199-222. Oxford: Berg Publishers. de Quincy, A.Q. 2012. Letters to Miranda and Canova. On the Abduction of Antiquities from Rome and Athens. Santa Monica: Getty Trust Publications. Eriksen, A. 2009. Museum. En kulturhistorie. Oslo: Pax forlag. Flower, W.H. 1998 [reprint of 1898-edition]. Museum Organisation. In Essays on Museums, ed. W. H. Flower, 1-29. London: Routledge. Goode, G. B. 1893 . Recent Advances in Museum Method. Annual Report of Board of Regents or The Smithsonian Institution […] for the Year Ending June 1893. Washington: Smithsonian, 23-58.p. 23. [Reprint 1980 New York: Arno Press]. Haraway, D. 1984-1985. Teddy Bear Patriarchy. Taxidermy in the Garden of Eden, New York City, 1908-1936. Social Text 11 (Winter): 20-64. Henning, M. 2006. Museums, Media and Cultural Theory. Maidenhead: Open University Press. Kretschmann, C. 2006. Räume öffnen sich. Naturhistorische Museen im Deutschland des 19. Jahrhunderts. Berlin: Akademie Verlag. Pomian, K. 1988. Der Ursprung des Museums. Vom Sammeln. Berlin: Verlag Klaus Wagenbach. Thorsen, L.E, K. Rader and A. Dodd (eds.) 2013. Animals on Display. The Creaturely in Museums, Zoos and Natural History. Pennsylvania: Penn State University Press. Yanni, C. 2005 (1999). Nature’s Museums. Victorian Science and the Architecture of Display. New York: Princeton Architectural Press.